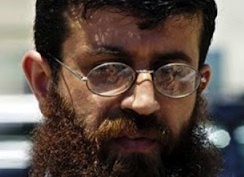 Khader Adnan has reached an agreement with the Israeli military authorities. He promises to end his hunger strike, but only if Israel guarantees to give him back his freedom April 17. Israel blinked because it feared its own Supreme Court might go outside the Zionist box and expose the inherent inhumanity codified in administrative detention. In a remarkable exchange on CNN International, Hala Gorani grilled Israel spokesman Mark Regev before Israel made public its latest “generous offer”. Regev stalled and squirmed under Gorani’s relentless questioning. It is highly probable that he was aware at the time that the Israeli strategy of avoiding a Supreme Court ruling was about to be announced. The ten minute grilling is a classic display of what a good journalist can do to a duplicitous government spokesperson. Don’t look for this interview on CNN US. The interview became available on the internet through a posting by Adam Horowitz on the ever-valuable Mondoweiss web site. Rest assured Israel was thinking less about the life of Khader Adnan, and more about its own image as a democracy, when it acted on its own to avoid having administrative detention fully exposed for what it is by its own Supreme Court. Prime Minister Benjamin Netanyahu will soon speak to AIPAC, Israel’s American support system, when he visits Washington for AIPAC’s annual meeting, March 4-6. He will also sit down with President Barack Obama who may have influenced him to “get rid of this Khader Adnan problem before you come to the White House”. A massive outpouring of Palestinian grief for a dead hunger striker would not be good background for an Obama-Netanyahu confab. “While we await final confirmation from Khader Adnan himself that he has ended his hunger strike, reports of the deal to free him early from detention without charge or trial represent a big victory. Israel made two concessions that met minimum conditions set by Adnan to end his strike: counting his 4-month administrative detention from the date of his arrest, rather than the date the order was issued — meaning he will be released 3 weeks early, and secondly, Israel agreed not to renew the order as it so often does. The fact remains, however, that Adnan is still in custody without charge or trial, along with more than 300 other detainees, including 21 elected members of the Palestinian Legislative Council. It is also worth noting that while Israeli officials continue to insinuate that Adnan is ‘violent’ and a ‘terrorist,’ they have still not charged him with any crime. It is simply inconceivable that if they believed their own claims, that Israel would have agreed to this deal”. Meanwhile, in the main stream media, three of MSM’s major pundits have yet to address the Khader Adnan story. They missed the fact that he was the answer to their collective call for a Palestinian Gandhi. Peter Hart, activities director of FAIR (Fairness and Accuracy in Reporting), a New York-based web site, noticed a symmetry among three of these major media pundits. For years prominent corporate media pundits have told us that the world — and the media — would embrace a dramatic, non-violent Palestinian resistance movement. If only such a movement — perhaps led by a Gandhi-like figure — were to finally emerge, we are told, the media coverage will come, and sympathy from across the world will strengthen support for the Palestinian cause. This is nonsense — there has been non-violent Palestinian resistance for years. The three columns by Klein, Friedman and Kristof, were consistent on two important points. One, they made no reference of the long tradition of Palestinian non-violent protests. And two, they all came up with the same solution to the problem, a Palestinian-Gandhi who would draw immediate worldwide television coverage. The non-violent model cited by all three pundits was India’s Mohandas Gandhi, who led successful non-violent protests against Britain’s colonial empire which had been occupying Gandhi’s native India. Sixty-three years after Gandhi’s death, another Palestinian Ghandi challenges the curse of invisibility. He is a citizen of an outpost of the American empire called Israel, which poses a problem for our pundit trio. Their corporate masters approach with great caution any opponents of Israel. The Palestinian Gandhi, Khader Adnan, (pictured above) is a 33-year-old Palestinian husband, with a pregnant wife and two daughters, who was placed under administrative detention in Israel’s military prison system December 17, 2011. The hunger strike Adnan began on the day after his arrest, was in protest against his own administrative detention, and on behalf of all those Palestinian prisoners who suffer under administration detention, the legal subterfuge under which Israel says it has the power to hold a prisoner for an indefinite period without having to bring any charges against him or her. Israel’s High Court of Justice has today scheduled a petitions hearing regarding the case of Khader Adnan to take place Thursday, 23 February 2012 at 11:30am. The petition was filed by Khader Adnan’s lawyers on 15 February.The High Court of Justice was provided with a detailed medical report prepared on 14 February by an Israeli-accredited doctor on behalf of Physicians for Human Rights-Israel (PHR-Israel). Despite the elaborate medical report, which confirmed that Khader Adnan “is in immediate danger of death,” and that “a fast in excess of 70 days does not permit survival,” the Israeli High Court appointed the petition session for 23 February with no guarantees that a decision will be made on the same day. It may well have been this scheduled hearing that forced Israel’s hand. The government of Israel had two choices: Either wait to see if the Count undermined administrative detention, or make a deal with Khader Adnan. The third option, of the Israeli military renouncing administrative detention on its own, was never on the table. “The Only Democracy” in the Middle East made the deal with Adnan. So far, almost ten weeks after Khader Adnan began his hunger strike, the three media pundits who sang in harmonious longing for a Palestinian Gandhi, have remained silent on the hunger strike. There is still time for them to admit they may have missed seeing their Palestinian Gandhi. He was here, alright, chained to an Israeli military hospital bed, yet they saw him not. Amy Goodman’s Democracy Now web site, is one important exception to how easily the US media accepts any and all Israeli versions of reality. She is a hidden treasure. For her take on the hunger strike, which was still in process at the time. And finally, the media silence on Israel’s treatment of Palestinians like Khader Adnan, reveals the degree to which main stream media’s silence exposes the unpleasant fact that MSM’s primary loyalty is not to its readers, but to its corporate masters. Abukhater describes Twitter and its potential to support movements of protests. Twitter’s presence was an important factor in Egypt and Libya at the outset of the Arab Spring. Organizing a trending hashtag for Khader Adnan is just like organizing a large protest on the corner of the busiest and most crowded street in a city. As you read this, Khader Adnan is very close to death. It is high time the Israeli state respond to calls by Amnesty International,Human Rights Watch, the Carter Center, and many other human rights organizations to release Adnan immediately. As Adnan enters the 65th day of his hunger strike, activists and human rights defenders have joined this campaign. In addition, Amnesty International is calling for Israel to abolish the system of administrative detention. Adnan is the victim of arbitrary detention. He is one of 309 Palestinians who are currently being held under Israeli administrative detention. Adnan, an administrative detainee, has not been charged, he has not been tried, and he does not know when the period of detention will end. Indefinite detention without a trial or charge is not permitted under International Law. It is considered a form of arbitrary detention which no country should be practicing. The silence of the world community is deafening. The late awakening of the mainstream media is inexcusable. Imagine if Adnan were an Iranian man on hunger strike in an Iranian jail. Would we have had to do this massive movement on Twitter to get the world’s attention? I don’t think so. While the mainstream media has failed to cover Adnan’s story, Twitter is at the forefront of the campaign to pressure the Israeli government to act. Twitter users have taken on the responsibility of filling the void created by the mainstream media. At this moment, according to Topsy Twitter statistics, the hashtag #KhaderAdnan has been mentioned about 40,000 times on Twitter. It should be noted that this statistic excludes other related hashtags which would count in the thousands. A hashtag is a special tool used in Twitter to mark certain tweets as part of one conversation. In order to enter a hashtag, one must add (#) before any keyword. When a hashtag is selected the user is directed to a page where they are able to read all Twitter updates using this specific hashtag. Whenever there is a big news story, a popular event, or even a revolution, people use a certain hashtag to contribute to that conversation. That is what Palestinian and other activists are doing now for Adnan. 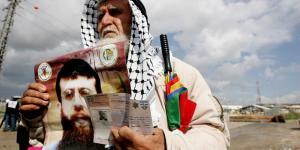 The picture of Khader Adnan at top, is from the End the Occupation blog. This entry was posted in Media, Middle East Politics, Netanyahu, Obama, Politics and Elections and tagged administration detention, Ali Abunimah, corporate media, End the Occupation, Friedman, hunger strike, israel lobby, Joe Klein, Khader Adnan, Mohandas Gandhi, Nicholas Kristof, palestinian detainees, Peter Hart FAIR. Bookmark the permalink. Thank you, Jim, for your follow-up on Khader Adnan. Let us hope that mainstream media will now pick up the story. I also hope that the “Tweets’ will continue to mount in volume to ensure that Khader is free and the 309 other Palestinians under Israel’s monstrous arbitrary detention are also freed. The Tweets may now become a more established part of the Palestinian movement. From a Twitter nerd, for your readers interested in using Twitter, here are some pointers. . . . Go to Twitter.com and open an account. It takes a minute – you can do your profile later. Use a very short username as it eats into the 140 characters when you send out tweets! In the search box with the magnifying glass, put in a few names of accounts to follow so tweets start appearing in your feed/page. (I have suggestions below). The more accounts you follow, the busier your feed becomes and the quicker it updates. The beauty of the wiki-sourced news items (people-fed) is that you get to decide what you want coming to you or not coming to you. You learn to sift through the unwanted stuff very quickly. Once you start following people, Twitter will suggest other similar accounts. All accounts have the @ symbol in front of them. So for e.g., to follow The Israel Palestine Mission Network (IPMN) of the Presbyterian Church, put in @IPMN in the search box and hit “follow” when it comes up. All accounts are known by @ plus their username, so the New York Times is @NYTimes. To search subjects rather than people, in the search box, put in a “hashtag” – a word with a pound sign in front of it # – to bring up all the tweets that have that particular subject in them. e.g. put in #BDS and see what comes up related to Boycott, Divestment, Sanctions. Put in #PCUSA and see what comes up for the Presbyterian Church, and so on. The most popular hashtags are the “top trends” and are “trending.” There are local and global trends which you will see in a list that can be customized to your area. When there is an “RT” in a tweet, it has been “re-tweeted” by the account that sent it. If there is an “MT” it is a “modified tweet” so it is not the exact words of the original. If you get stuck, there are how-to videos for Twitter newbies on YouTube. Suggestions for accounts to follow for Israel/Palestine info not in the mainstream: @IPMN @JessicaMontell @mondoweiss @guardiannews @Palestine @benabyad, @haaretzonline @ibnezra @AJEnglish @AliAbunimah @intifada @theIMEU @Ibishblog @alanauthor @MJayRosenberg @FP_Magazine … Twitter is the best custom-made news feed out there! Give it a try!! Noushin Framke, that is an incredible introduction to Twitter! I’m a real computer dunce and the proverbial “old dog,” so I probably won’t take advantage, but your initiative is much appreciated. I thank Jim for his always-timely and on-point commentary. Many of us have reached out in our own ways in support of Khader Adnan, and I’d like to note that I’ve called State–the office of Jeffrey D. Feltman, Assistant Secretary of State for Near Eastern Affairs–three times over the past week. The lady who took my first call listened very empathetically to me, advised that she was receiving “many, many calls” about KA, and assured me that she would pass my concern and passion on to Feltman. Yesterday, a different lady also knew of the issue but passed me immediately to the “Palestine desk”; I was forced to leave a message and asked for a return phone call or E-mail-message response within 24 hours. No response…my third call to Feltman’s office was just 30 minutes ago, answered by a man. He listened to me for a couple of minutes and asked me to hold. A press officer came on the line, and I talked with him for at least 7 minutes. He said that major discussions and concern are routine within State on the whole Palestine-Israel issue; he knew of KA and said “Oh yes; he’s been released and is eating….” I told him my scan of the State website disclosed no release or comment by Feltman or Clinton, and I went into some detail about what I saw as my State Department’s obligation to issue a statement about KA, his ordeal, his emergence as the “Palestinian Gandhi” all the pundits and “experts” are demanding, the human- and legal-rights violations of the entire structure of administrative detention, etc. He stated that the Israelis are regularly asked to “lighten up” (not his words) their application of military occupation on the Palestinians…and then he got into the old, tired “But the two parties themselves must sit down, negotiate as they’ve tentatively done in Jordan recently, blah, blah…” mantra. I insisted that the entire “peace process” has been a charade for at least 20 years and that my tax dollars give me the right and obligation to expect my government to practice what it preaches about freedom, democracy, human rights et al as those lofty ideals pertain to the Palestinians. At that point, we started repeating ourselves, so I rang off with the words that I expect much, much more from my government (I did mention the impending visit of Netanyahu to the White House and the inherent inequality of the parties as no Palestinian leader attains anywhere near the courtesies and privileges extended to the present fascist Zionist government…); that I hope that Khader Adnan, who is “now eating,” will be able to overcome the damage done to bodily organs, systems and psyche; and that I was satisfied that I had presented my case to him within the limits of my oral abilities. I do believe that more — much more — direct and forceful contact to the officials and operatives within our own government bureaucracy is essential, and that, in conclusion, is my suggestion to this august company. We need to “swarm”! Jim: A great column. The only question I have in regard to a non-violent Palestinian resistance movement is the drag on non-violence caused by Hamas. But I fully support Khader Adnan who hopefully is indeed a Palestinan Gandhi. Harris Fawell, Member of Congress, (retired). Much thanks to the efforts of Noushin Framke and Robert H. Stiver as revealed in their commentary. The Adnan event conspicuously highlights an attribute that Ghandi put much importance on: The assumption of the mental resolve that you are ready to carry your protest to your very death if circumstances require this of you. Jim ‘s frequent and welcome exposure of specific MSM positions re: Palestine wherein he names names; e.g. Klein, Friedman, Kristof above; the NYT or Wash. Post; the “PEPS” on CNBC like Maddow, Matthews et al. And on a positive note his openly bestowing deserved plaudits on such as Mondoweiss and Amy Goodman (the latter clearly deserving a Pulitzer Prize if not a Nobel Prize).